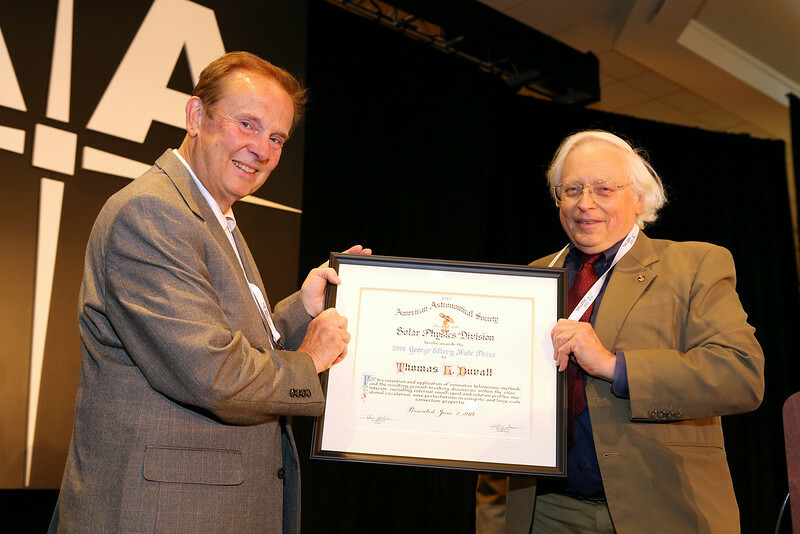 Thomas L. Duvall (NASA Goddard Space Flight Center), at left, received the George Ellery Hale Prize from Solar Physics Division chair Leon Golub (Smithsonian Astrophysical Observatory). Duvall's prize lecture was entitled "Waves Excited by Noise: Applications to Helioseismology and Beyond." AAS photo © 2014 Joson Images.